Guys! This article is a transcription of an interview that I had on a french drum magazine. I hope it will be useful to you, if you have any questions, just ask on the comment section below, I will reply to everyone. When it comes to picking out a song to cover, I think you should choose a song that inspires you, not necessarily something difficult, but something that makes you bob your head or makes you smile. Usually, I ask myself 2 questions: Do I want to learn something in particular or do I want to be creative? Sometimes I want both of them….. Your choice could be made out of the original drums if you hear something that you want to learn or just because there are no drums and you think you can create something. When I listen to a song that I like, I feel inspired and I immediately feel the urge to go behind the kit and reproduce the drum part or try what pops out of my head. Sometimes I imagine a different groove and sometimes I want to replace the electronic beat with a real drum sound. My aim is to show that the drums can change the perception that you can have of a song, and that pop or electro artist should look for a real drummer instead of electronic beats. How to be motivated to practice ? My advice would be to put yourself in danger. Don’t always choose the same kind of songs, the same type of music, get out of your comfort zone. Challenge yourself with new ideas, take risks! no matter what your tastes are. I have never explored Jazz, funk, Latin music but I’m definitely going to try those one day. Be curious and open-minded. For example, I’m not a fan of pop/Dance music but when I heard Lucky Strike or Maps from M5, I immediately thought I could do something interesting, you just have to assume it ! “How can I get more views” ? Everyone now can record himself, so there are tons of Youtube Drummers. All you have to do, is to do it right, in your own way, and own ideas. Keep in mind that you are making a video that people will watch and listen. So to me, you have 4 main objectives to focus on : Your Personality, your drumming abilities, the quality of the sound, and the quality of the video. Everything has to be coherent, not perfect, but coherent. You don’t want to have a super great sound, but a poor video quality and vice versa. Try to present your work in the best possible way. It would be a shame to spend hours and hours practicing drums, succeeding in doing a super difficult song, and having a bad sound and bad video quality. Of course, there is a strategic choice concerning the song you tend to cover. It’s POPULARITY! 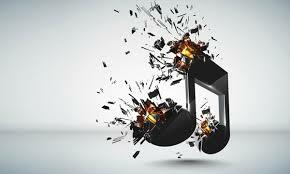 The popularity of the songs is obviously a powerful tool for the development of your channel. A “trendy” artist or band will have more potential and visibility than an underground band IF, and only IF you play something coherent, of course. BUT this shouldn’t be an end in itself. In my humble opinion, you shouldn’t pick out songs just because you think the artist is going to be viral. Don’t forget the message, the artistic dimension of your work. No need to rush at the views race! Focus on doing something proper, original, authentic… People will follow you. Keep in mind that some drummers are famous because they have a strong reputation in niche music and because they belong to a community that will support them. II. WHAT KIND OF APPROACH? How can you play a song? As mentioned in the beginning of this article, you can have 2 approaches: the first one consists in adding your own feelings and ideas, transforming the drum part to give a different perspective of the song. 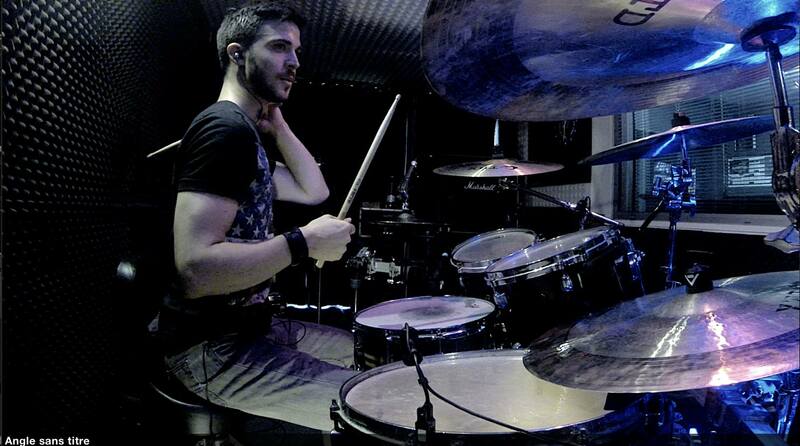 The second one is to follow what the drummer has already done. I think that those 2 approaches are really interesting. They help define the way you want to work. You may want to do a technical song to try to understand the drummer’s feelings or reproduce some beats or fills, as a challenge. Or you may want to do a song that has few drums or no drums to be creative. Being creative is not only something I like, it’s something I need in my life and drumming. I have a creative mindset, that’s why I started to do some drum Remix. To me, being creative implies to look for a song that is not already full of drums, which allows you to put your style and ideas. To go further in this method, you can also look for drumless tracks ! On most of the songs I did, I had to play what already existed in order not to hear 2 drums (mine and the song’s one), so you’d better choose songs that have few drums. In that way, the creative margin is bigger. 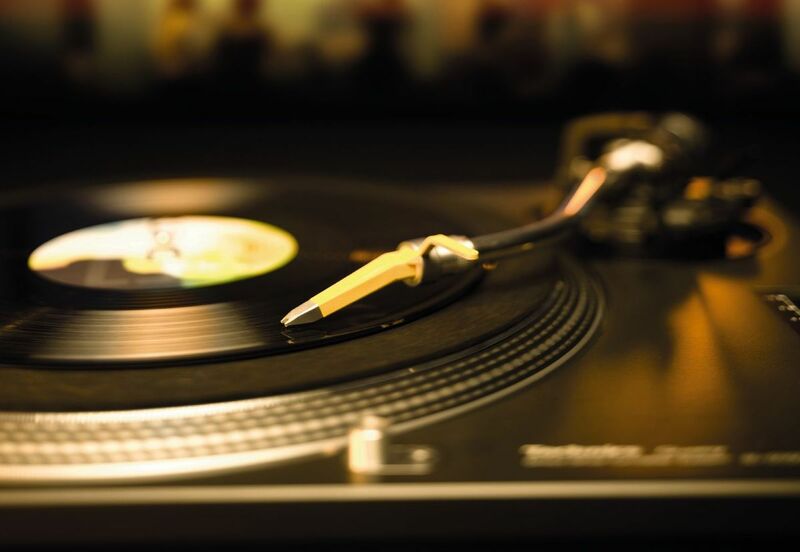 The real objective when you pick up a song is to free your mind while respecting the song. I can easily admit that I have very often crossed the « overplayed »line because I couldn’t manage my energy. (And because it’s FUN!) But guess what, no one cares, this is a part of the learning process. The other approach focuses on a completely other side of your brain by trying to reproduce what the original drummer created. The benefits are completely different : trying to truly understand the intention of a musician, learning new skills, and trying to reproduce it in the best way you can. Putting myself in the band’s drummer shoes is a concept I love more and more. Taking a step back, I realize I often choose « mainstream » songs when I want to be more creative. However, for covers that stick to the original songs, I choose songs that are more linked to what I love and where the original drum is interesting to learn. A pure musical aspect is not always enough. 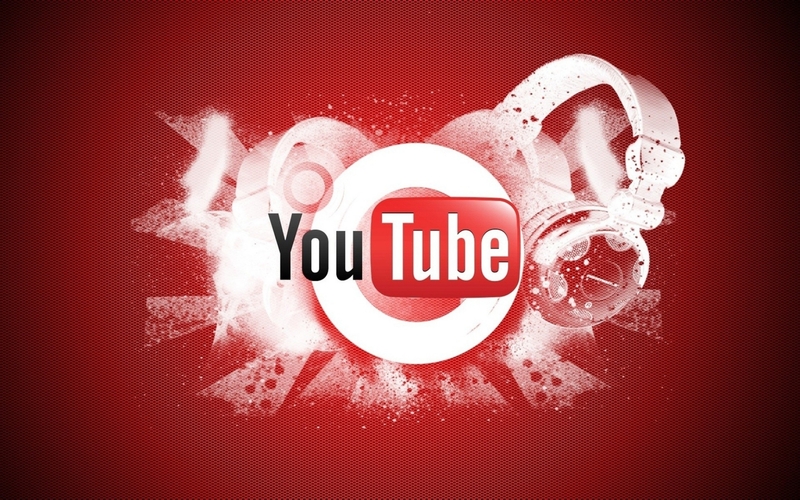 There are thousands of YouTubers and musicians on the web. So if you want to be followed in the long run, you have to bring out a personal style, a trademark/signature on your videos. You can go out of the « drummer who plays his drum »classical format. From time to time, I like to prepare an off-the wall staging. It can be really fun and it is really nice not to take yourself too seriously for once ! Moreover it pushes me to be more creative. In general, it works well! III. CHOOSING THE INSTRUMENT : ELECTRO VS ACOUSTIC ? Most of my covers are played on an e-drum. To be honest, I don’t really have the choice as I live in an apartment. But I don’t regret it at all. Both of these instruments have their own specificities, their advantages and their drawbacks. We just need to know how to use them and how to leverage them. For live concerts with my band, I play on an acoustic one. So I try to regularly work on it so not to lose my touch and my habits as I spend a lot of time on my Roland. – You can customize the sound with no limit and create original sounds that can be complementary of the acoustic. E-drums are not necessarily meant to sound like Acoustic, they can be made to sound electronic ! We have to adapt ! Bear in mind that you can produce some particular sounds with an acoustic that you can’t have with an electronic and vice-versa. It depends on what you intend to do, your tastes, etc…. I am very happy to play at home on my Roland TD-25. Without it, I would not have gone so far and realized all these projects. I have been recently endorsed by Roland and I really thank the brand for its amazing welcome. Roland offers reliable and strong products (see how I bang on mine…) I own a Roland module (first the TD-9, then the TD-12 and now I have theTD-25) that I connect to my MacBook via a USB-midi cable. I use a sequencer to record midi notes and a virtual instrument that generates drum sounds. You can also use an external sound card if your computer’s one is not good enough. Otherwise, you can directly use the internal sounds from your module with one or several Jack cables linked to your sound card according to your equipment. On acoustic drums, I recorded my first cover (Royal Blood) at DIH Prod studio. I was not the one who proceeded with the installations. A classical set up to record an acoustic drum can be the following: 2 mics for the snare drum (top/bottom), one mic for each tom, a hi-hat mic, a ride mic and an overhead for cymbals. All the mics have to be linked to the sound card of course! you will have as many inputs as there are mics. You can then record and manage your sound via a sequencer and plugins or hardware. Small budgets will choose a portable numeric recorder e.g Zoom H4N and mix the sound with the video. If you properly adjust the zoom level and the drums tuning, you will have a very good “live” mix. 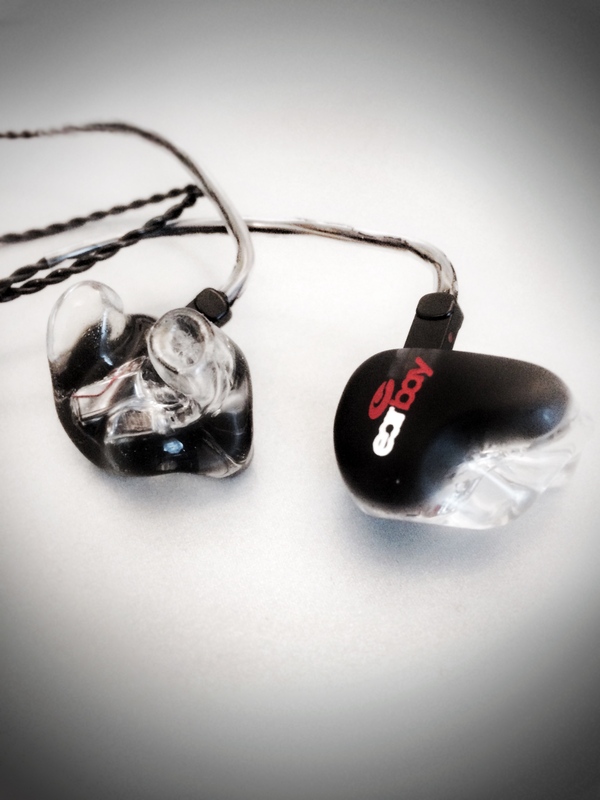 Hearing well is important in this process I use my Earbay in-ear monitors for more comfort in studio and on stage, but within a home studio a good quality headset can be enough..
One or several video cameras, a good lighting and an editing software are required. I use 2 or 3 Go Pro video cameras according to the songs and a Nikon camera. If you can’t afford all of this, don’t give up ! It takes some time to build a configuration like mine! I started with a smartphone and 2 down-market cameras. I have a personal tip for you : start investing in light before investing in cameras. Unless you want to create a particular atmosphere, choose white light, two spots are a good start, so you can put them on your right and left. To begin, I prepare a logic pro X session with the tempo of the song. I spend time to choose the best drum sound that could fit the song (advantage of electronic drum). I turn the lights & cameras on, push the record button and play until the perfect take. Once I’m satisfied, I start mixing and editing. For this particular step, I use SSD4 drum sounds, with the DB & CLA pack : killer sound. I mix with slate digital plugins, I really like them because they are ready to be used, even for beginners, you tweak 2-3 buttons, and it sounds great ! I save a precious time, so Hail to SD ! I use a compressor, a tape machine, a reverb, and most of the time, it’s enough. Usually, I use their presets, so I can’t give you further details. I don’t really enjoy spending too much time mixing, so that’s great for me Once I’m satisfied with the sound, I bounce it and open Final Cut pro X to start editing the videos. After synchronizing different angles, I edit the color, light, and then sync with the sound. I export the whole thing with compressor to stick to the YT format. To get a good ranking of your videos on Youtube, pick up a short and clear Title, such as : Artist – Song – Drum cover/Drum Remix. 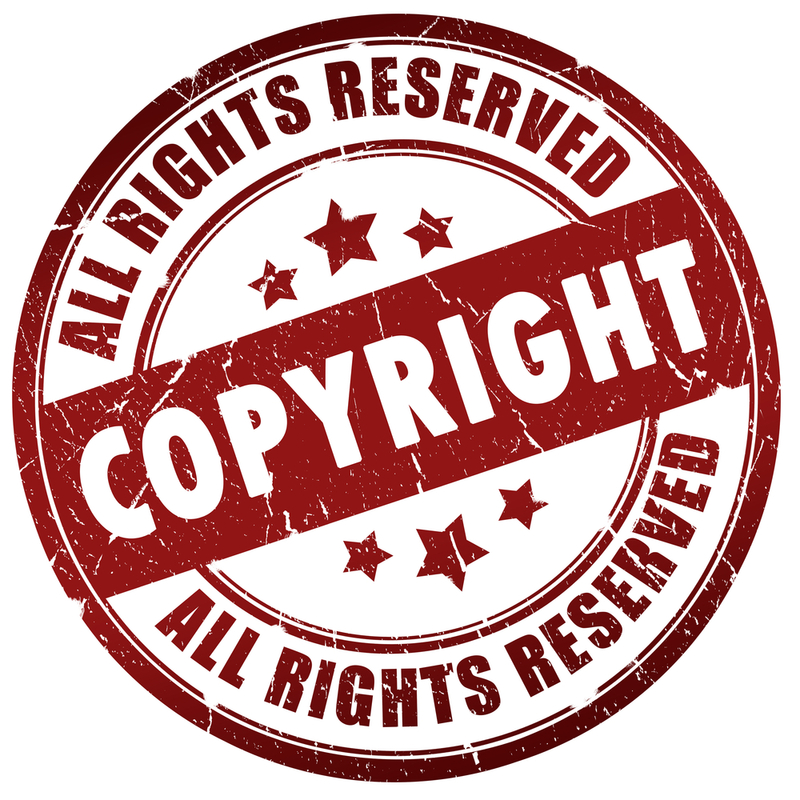 Therefore, don’t be shy concerning the use of key words or tags within the video. This will help Youtube to index your video. Doing also a good description of your video will help Google find some key words and improve your ranking. People who will watch yours videos might want to know a little more about you, so feel free to create a website (with wordpress for example), a facebook « artist » page and invite them to follow you. Try to reply to comments or personal messages as often as you can: people who support you will be happy to have some words from you. The idea is not only to promote your video but also to create a community. You have to be conscious that the videos you’re going to upload will be on Youtube Forever, so don’t try to rush your ranking, there are no miracles, you have to count on time and quality for your videos to be visible. My advice would be to use everything you can, but without excess. A video can start slowly, and increase within two years. Globally, your videos will gain visibility over time if your channel is growing. I hit my first million within 3 years ! Next million within one year ! I hope it was useful to you guys, there is a lot to talk about about this subject, so if I have not covered a specific question that you would have, leave a comment below, I will reply to everyone. 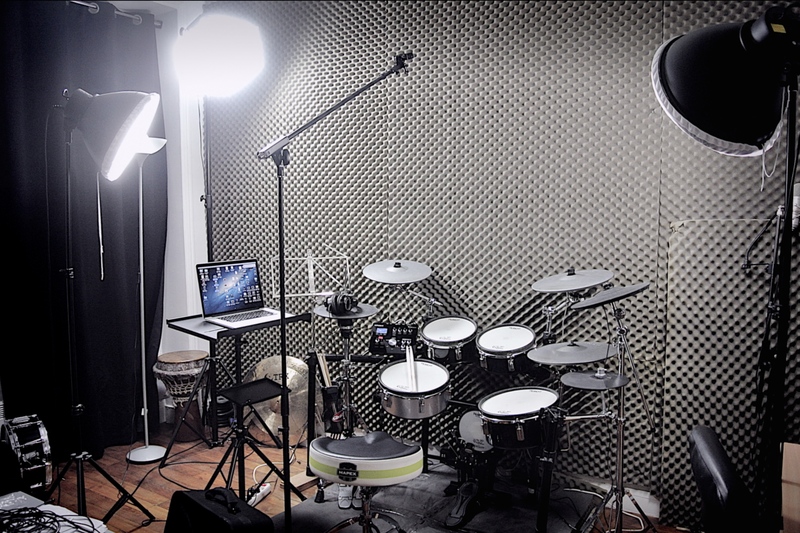 Share the post "How to do a drum cover on Youtube"